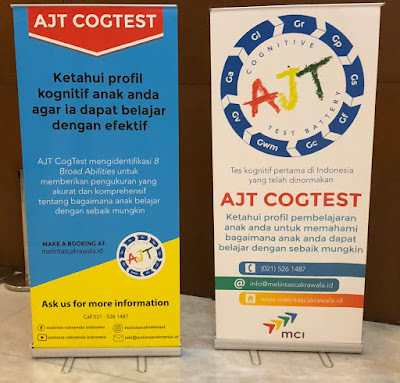 Yesterday’s AJT CHC cognitive test launch yesterday in Jakarta was a big success. I was taken aback by the special “event” flavor. Extremely professional. 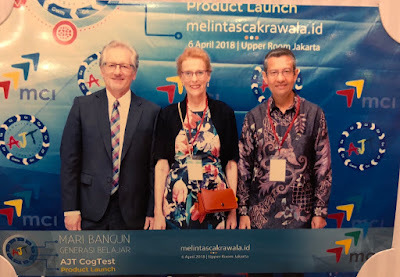 As I’ve stated before, the AJT is based on an Indonesia norm sample of 4,800 and will be one if the most comprehensive intelligence tests in the world (on par with the WJ IV COG). It measures 9 broad CHC domains (Gf, Gc, Gwm, Ga, Gv, Gs, Gl, Gr, and some of Gp-separate from cognitive). This has been the most personally rewarding and important project I have worked on in my 40+ years in psychology and education. It is bringing the core concept of individual differences to the education system of the fourth largest country in the world. George and Laurel Tahija (see picture below), and their YDB foundation, are the visionaries behind this project and other projects focused on helping unique learners in their country. In my five years on this project I can say that I’ve never worked with so many nice people. It was a grand effort by many. I am very impressed how together we built such a comprehensive and technically sound battery of tests from scratch. 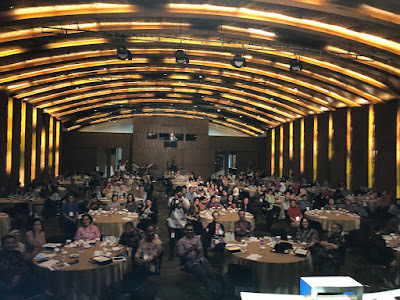 I have developed a fondness for Indonesia and the people of this wonderful country. 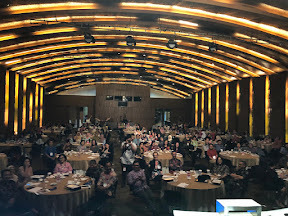 The genuine warmth and enthusiasm of the participants was personally moving. Conflict of interest disclosure. I have been a paid consultant for this project but do not receive any royalties from sales of the test.